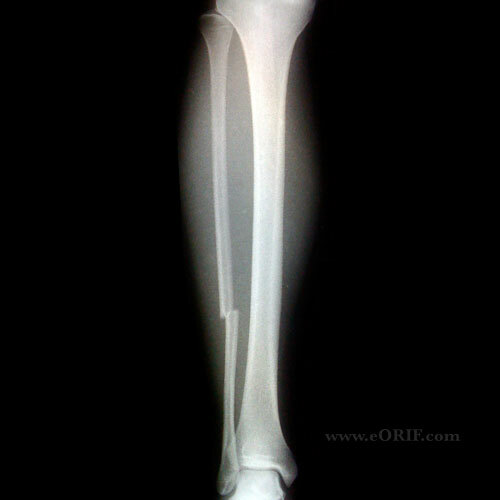 Isolated fractures of the fibula are rare. Generally occur from a fall or direct blow to the lateral leg. Document knee and ankle exams. Isolated fibula fractures will have normal knee and ankle exams. A/P and lateral views of the tibia demonstrate the fibular fracture. Ensure the ankle mortise is intact and normal. Ensure injury is an isolated fibula fracture. 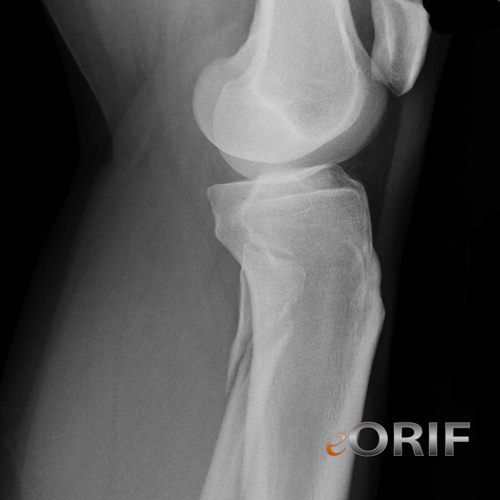 Avulsion fractures of the proximal fibula associated with knee ligament injuries or fibula fractures associated with ankle Syndesmotic Injury are much more common than isolated fibula fractures. 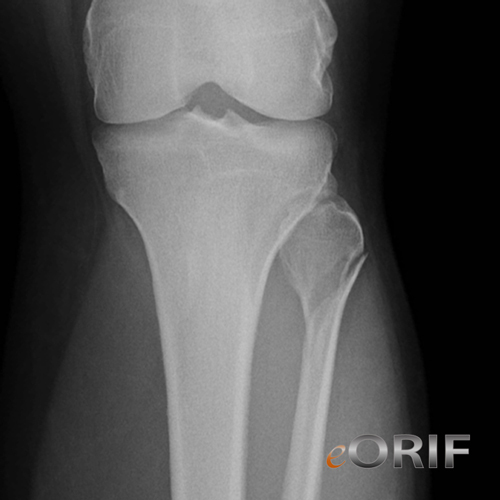 Treatment: symptomatic; below-knee walking cast or removal cam-walker brace. Weight-bearing as tolerated. Union generally occurs in 6-8 weeks.